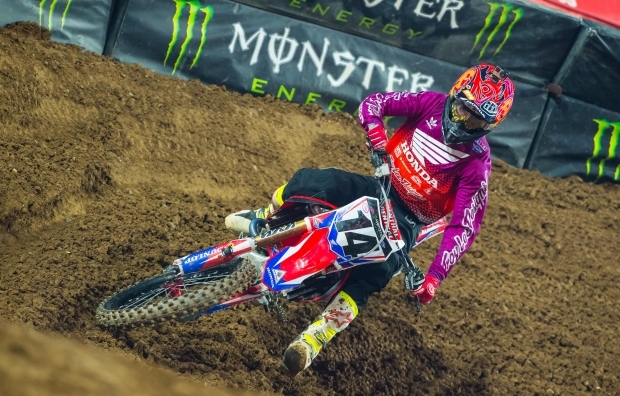 Round 5 of the AMA Supercross series in Glendale, Arizona, proved difficult for Team Honda HRC, as Cole Seely finished the night in eighth position. Following a top-five start in the main event, the Californian made quick work of the riders in front of him, moving into third by lap three. It looked as though he was setting himself up for solid podium finish until a mishap on the next lap caused him to fall to ninth. Seely fought to move back toward the front, but eighth was the best he could manage. 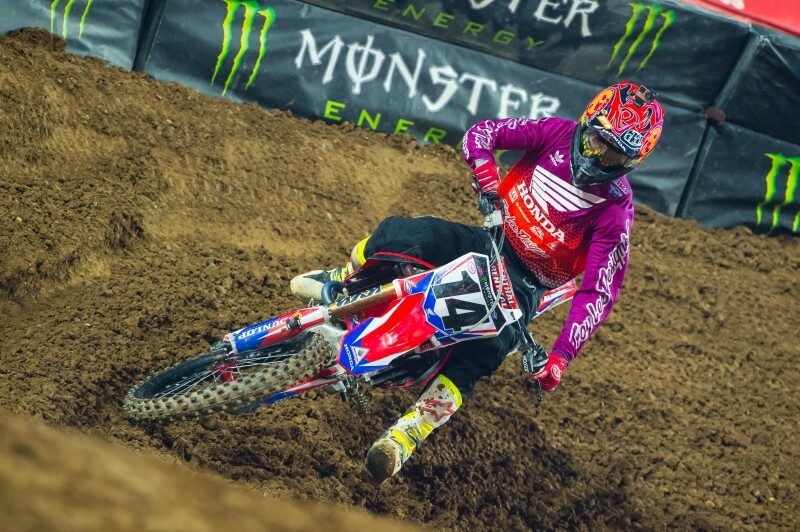 For the second weekend in a row, Trey Canard did not take part in the event as he continues to nurse an injured right hand. After he attempted to ride during Thursday’s press day, it was determined that he still did not have 100% strength to compete. 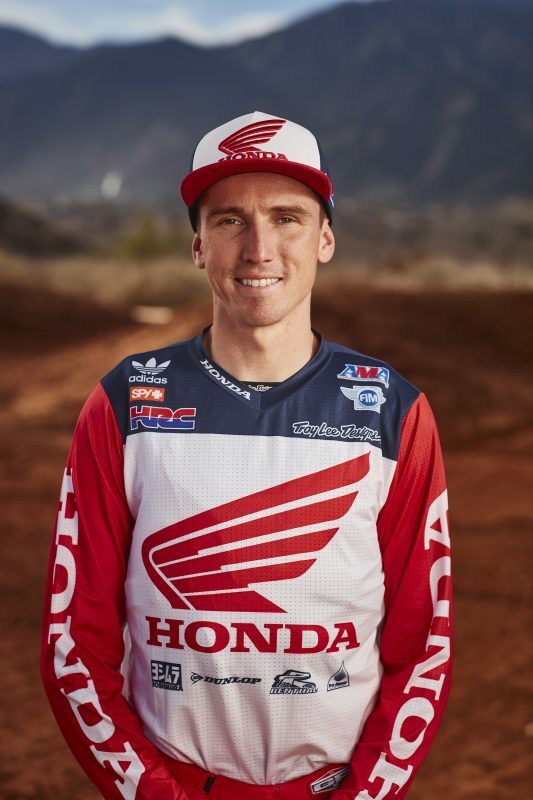 It was a short week for Team Honda HRC’s Cole Seely and Trey Canard, as they traveled to the University of Phoenix stadium early for press day. On Thursday, Seely interviewed with NBC’s Channel 11 News and on Friday Canard spent time with FOX Channel 10. The Glendale track showcased the longest lap times so far this season, with all riders over the 1-minute mark. The competition was fierce, with the top riders battling hard for the best mark during the qualifying sessions. At the end of the daytime program, Seely landed sixth at 1:02.522. Seely had his work cut out for him in 450SX heat 1 after a bad start left him eighth on the opening lap. He put together an impressive charge through the pack, finishing fourth and transferring directly into the main event. On race day, Team Honda HRC hosted a special family whose son Austin is a brain-tumor survivor and has participated in Ride for Kids events in the Phoenix area. The family received tickets and a rig tour and got to meet Canard and Seely before joining the team for dinner. It was a spectacular night for GEICO Honda’s Christian Craig, who captured his first-ever 250SX main-event win after leading the entire 15-lap race. Craig took the checkered flag with an advantage of nearly three seconds over the next rider, an impressive feat for someone who hasn’t competed full-time since 2013. 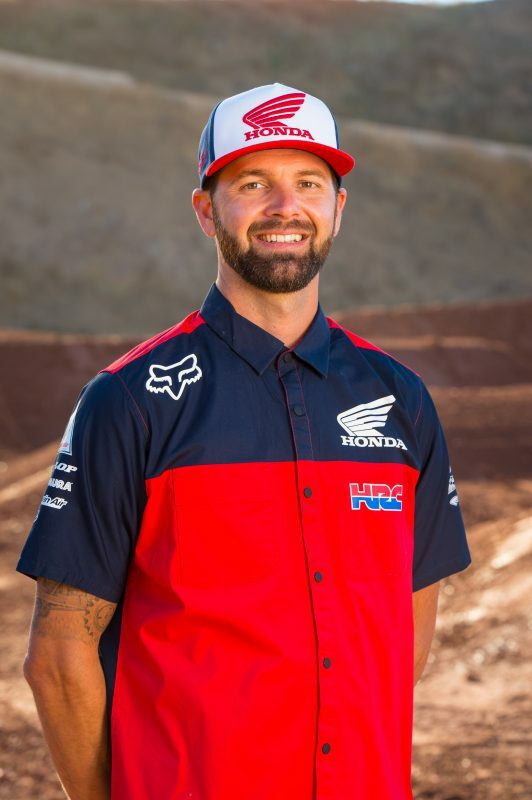 On Saturday, February 13, Team Honda HRC will return to San Diego for the season’s second and final stop at downtown’s Petco Park, for the annual Military Appreciation race. With help from the Pediatric Brain Tumor Foundation and Ride for Kids, for which Honda is the presenting sponsor, Team Honda HRC was given a special opportunity to visit the Phoenix Children’s Hospital on Friday before the race. During the visit, Trey Canard, Cole Seely and team manager Dan Betley spent time in the oncology playroom, hanging out with a group of young patients. The riders autographed posters for each of the children and handed out Honda gift bags, each of which included a T-shirt, beanie and stickers.